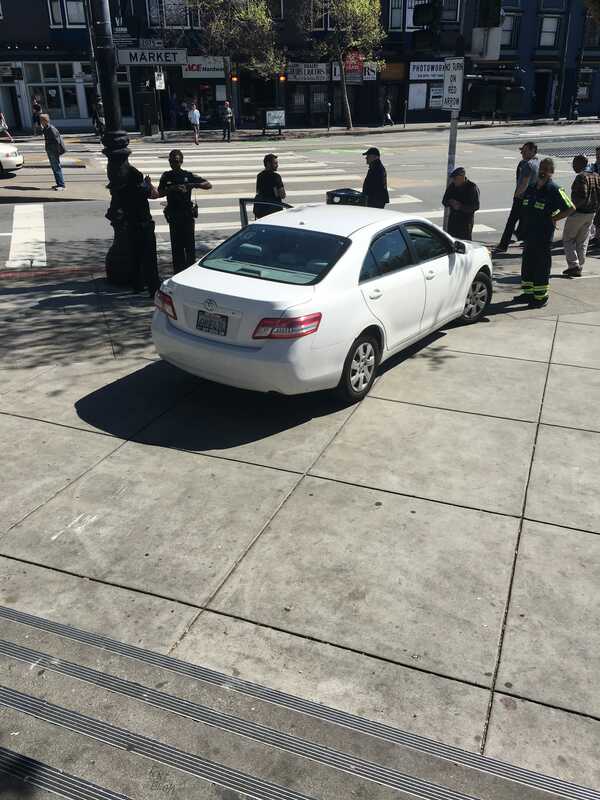 SAN FRANCISCO – An Uber in San Francisco got stuck on stairs Monday after driving down a pedestrian walkway outside a Safeway store on Market Street. 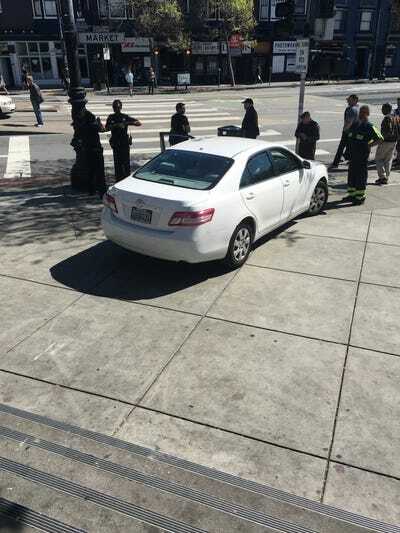 The car, a white Toyota Camry, got stuck at about 1:23 p.m. local time, according to the San Francisco Police Department. The car was being driven by a human at the time of the accident, according to an employee at Safeway. People at Safeway called a tow truck to move the car shortly after the accident, but it had not yet been freed 30 minutes into the ordeal. A spokeswoman for the SFPD said that the driver exited the car uninjured. Two Uber passengers were in the car at the time of the accident, the driver told Business Insider. By 3 p.m., the car was removed from the stairs, though not without incident. 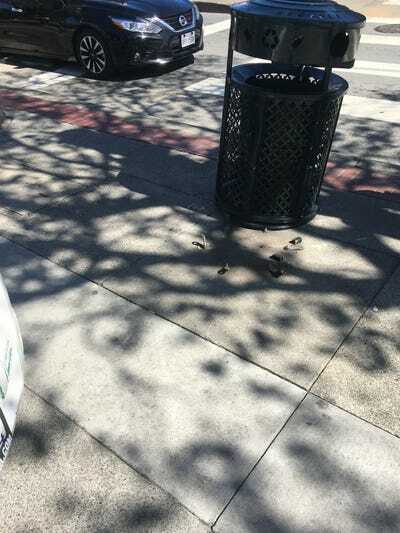 A tow truck attempted to remove the car from above the steps by using a cable to lower the car down, according to people at the scene, but it snapped, and the car plowed into a public trash can. The can was knocked off its screws. The driver, Fred, told Business Insider that he was using the Uber map at the time of the accident. The app instructed him to go down the stairs, he said. Fred, who has driven with Uber for less than a year, said he believed Safeway needed to make changes to its parking lot so that this didn’t happen again. He said he would never drive in the area again. As it turns out, Fred isn’t the first driver to make that mistake. In 2014, a taxi driver from Vina Cab similarly caused a stir when his car propelled onto the stairs. Katie Canales/Business InsiderPeople gathered around the Uber car after it was moved from the stairs. Katie Canales/Business InsiderA trash can was pushed out of place as the car was removed from the stairs.